The Azzurri Sports Club is one of the most successful Clubs in South Australia now boasts in addition to the Marden Sports Complex and three senior teams over 200 juniors boys and girls and two amateur teams. It is good management both on and off the field which has seen the Club rise from it’s humble beginnings to one of the Champagne sides of both South Australian and Australian soccer (football). The Clubs vision is to further develop its junior structure and source more players within it’s own ranks and hopefully contribute to the development of the quality of the game at grass routes level. This coupled with continuing improvements to facilities and professionalism towards the management both on and off the field is hoped will lead to greater success in the future. The construction of the Marden Sports Complex was the realisation of the Clubs dream. A dream which was achieved with the help of many of the Clubs supporters, and sponsors donating money, time and materials and without any Government grants or assistance. 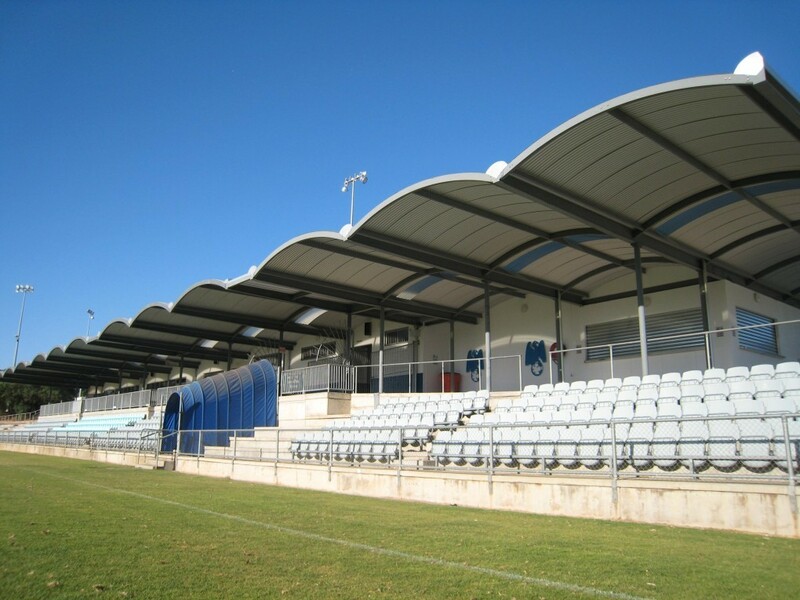 The Marden Sports Complex has a full size main pitch with seating for three thousand, one thousand of which are undercover as well as three practice pitches, new Clubrooms and Change rooms it has become the Number 2 pitch in South Australia after Hindmarsh Stadium regularly hosting International Teams such as the Italian Olympic Team in 2000, Japanese J-League teams Yokohama and Consoladole Sapporo, AC Milan U21 squad, Olyroos and numerous other national Olympic team squads have all used the facility for training and matches. In 2004 Oceania Football Confederation Qualifiers were held at the ground in conjunction with Hindmarsh Stadium which included a qualifying match for the Socceroos against Fiji on their run which finally saw the team qualify for the 2006 World Cup. Other events hosted at the Club include the SA leg of the Vodafone National 5-aside competition, Allan Shearer ‘Down Under’, 2006 Women’s Asian Cup preliminary round games, the National Police and Fire Games. The Facility was purchased in 1993 and a turning of the soil ceremony was held at the site to mark the beginning of the construction and fundraising of the establishment of the Clubs new home. Much of the bulk of construction occurred during 1999, with the first use of the clubroom facilities seeing the New Years Eve dinner celebration with 240 people attending. The ground was officially opened on February 19th, 2000 and blessed by Father Alan Winter. This coincided with the 1st round of the Season, with around 4,000 people attending that day to see the Adelaide Blue Eagles defeat rivals Campbelltown 4-0 in the season opening match.